Coming off a career year, some players regress as NHL opponents identify ways to neutralize their abilities. This won’t be the case for Tomas Tatar. 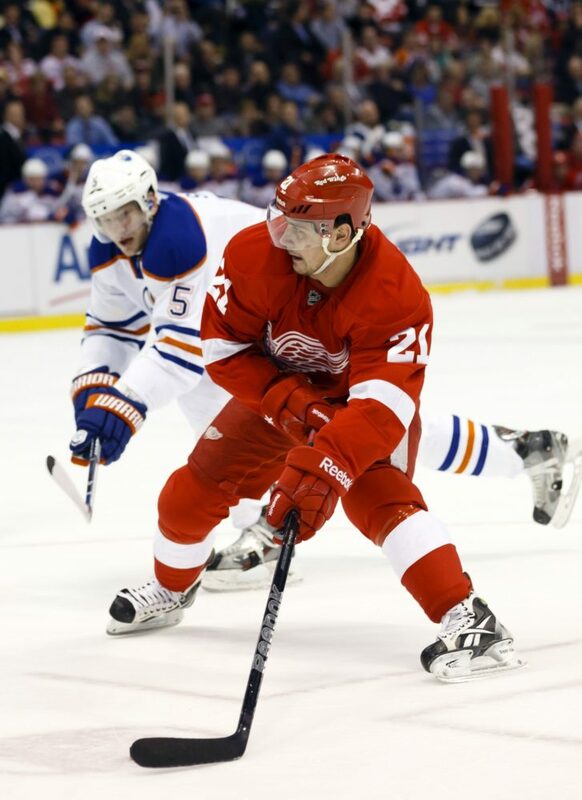 After leading the Red Wings in goals during the season and in the playoffs, Tatar will once again have a career year and top his 29 goals from the 2014-15 season. The Slovakian left winger is primed to break out and have an all-star year under Jeff Blashill’s guidance. Having aging star Brad Richards as a potential linemate and Mike Green as his defensive partner on the power play will also help to pad Tatar’s stats. 2015-2016 Projection: 80 GP – 37 G – 39 A – 76 PTS. My pick for breakout player of the year is Danny DeKeyser. Last season, he quietly notched 31 points while playing next to Kyle Quincey – with 25 of those points coming at even strength. With respect to Quincey, Mike Green is most likely going to help DeKeyser pocket a few more points this season. I think the success of the DeKeyser-Green pairing is contingent on DeKeyser playing smart, positional hockey while Green roams a bit. In addition, I believe he will probably see a decrease in power play time this year, unless something drastic happens. The Red Wings have so many offensive weapons that I just cannot see him on that second power play unit. Despite these factors, I believe this will be a big season for DeKeyser. Along with the increase in his point total, I also expect him to lead the team in EV TOI/GP. Riley Sheahan is in an interesting position this season. With the signing of Brad Richards, Sheahan is penciled in at the 3C position. 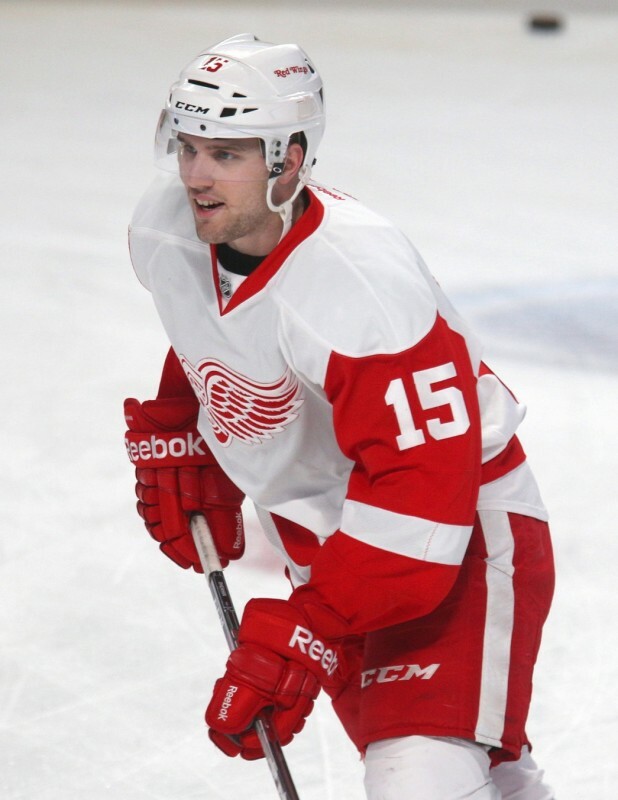 Sheahan is growing in spades, and this is his chance to learn behind some fantastic veterans. While Sheahan’s ice time seems in jeopardy in this regard, I believe that Sheahan will have his best season to date. He’s going to get plenty of penalty kill time, and is slated to center the second power play unit; this kid is only 23-years-old. This will be the season that Red Wings fans fall in love with a man who has the mind of Kris Draper with the hands of Sergei Fedorov. 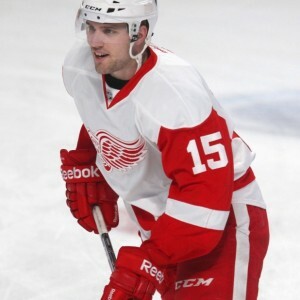 Sheahan will impress defensively this year, and has a great chance to best his career high in points.